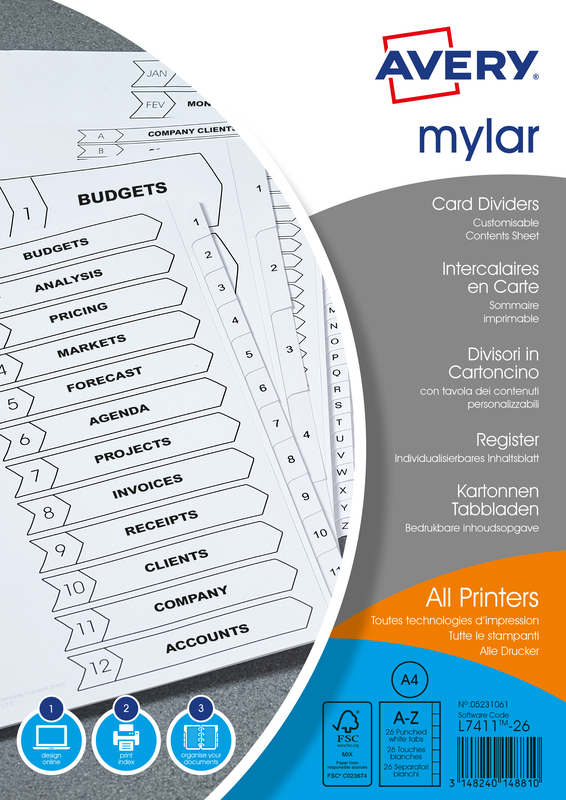 Organising and referencing documents is easy with the Mylar dividers from Avery. Flicking through sections becomes easy and data retrieval is streamlined for increased efficiency. 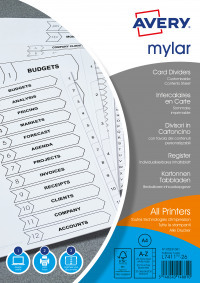 The index includes a contents page that is compatible with popular office software and allows you to customise section headings or add corporate logos.